I’m not sure why but once kids head back to school, the parties start – Oh wait, I think I just answered that. Party season has definitely begun! Invitations are flying in for birthdays, housewarmings, fundraising events, anniversaries, weddings, bar and bat mitzvahs, even a Harvest Party – and we aren’t even to Halloween yet. My friend, Tracy, and I just co-hosted a bridal shower for our beautiful friend, Karin, who is getting married up in Sonoma this weekend. My job was coming up with a dessert festive enough to honor the special bride. 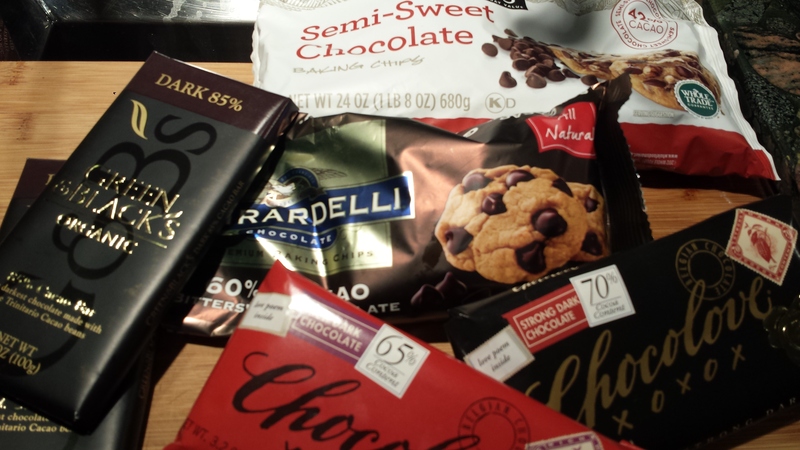 I didn’t want to try to rival her spectacular wedding cake (and not being a frequent baker anyway, because I end up eating it all myself) my thoughts immediately turned to chocolate, the ultimate crowd pleaser. I have made a decadent but super simple bittersweet chocolate mousse in the past for special occasions but never for a crowd. 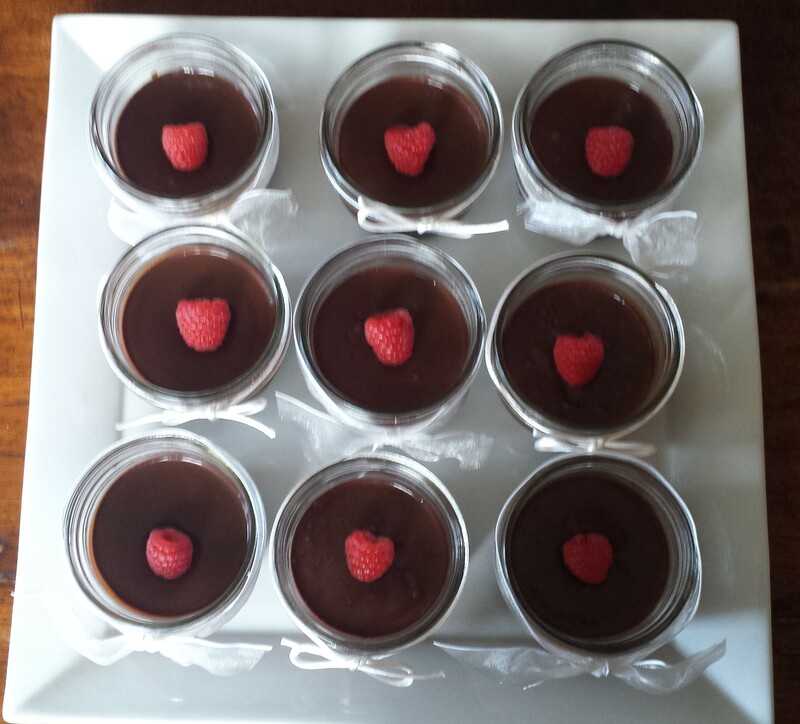 So I revamped my Bittersweet Chocolate Mousse Recipe, which only makes four small servings, to serve a dozen and updated the presentation to adapt for any occasion. If you can boil water and you have a food processor, you can make this foolproof, no-cook chocolate mousse. You just have to plan ahead by at least three hours because it needs chilling time to set. I didn’t have a dozen of any appropriate dessert dish so I ran down to my local hardware store and bought a box of half pint wide mouth glass canning jars, also commonly known as ‘jelly jars’, which are inexpensive and re-usable. Best of all they are easy to decorate. (Thanks Dawn!). This was for a bridal shower so I went with White Tie and Bridal Veil Bow, using white satin cording and wired organdy ribbon, but it’s very easy to adapt for any holiday. The ribbon you choose really sets the theme. Or you can leave the glass jars plain for a rustic look. Candy cane ribbon for Christmas. Blue snowflakes for Hanukah. 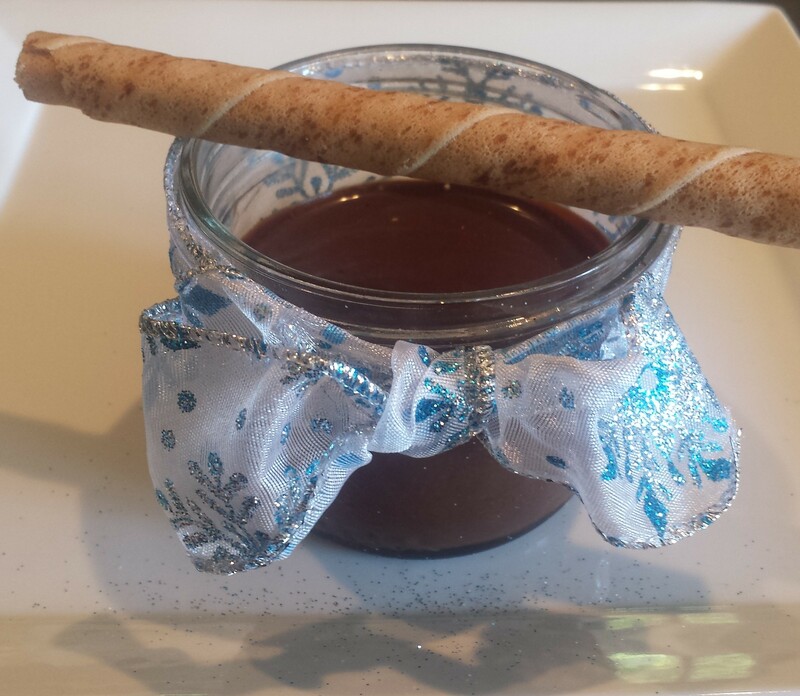 Be creative and tuck small spoons or candycanes into the ribbon or lay a pirouette cookie across the top for fun. 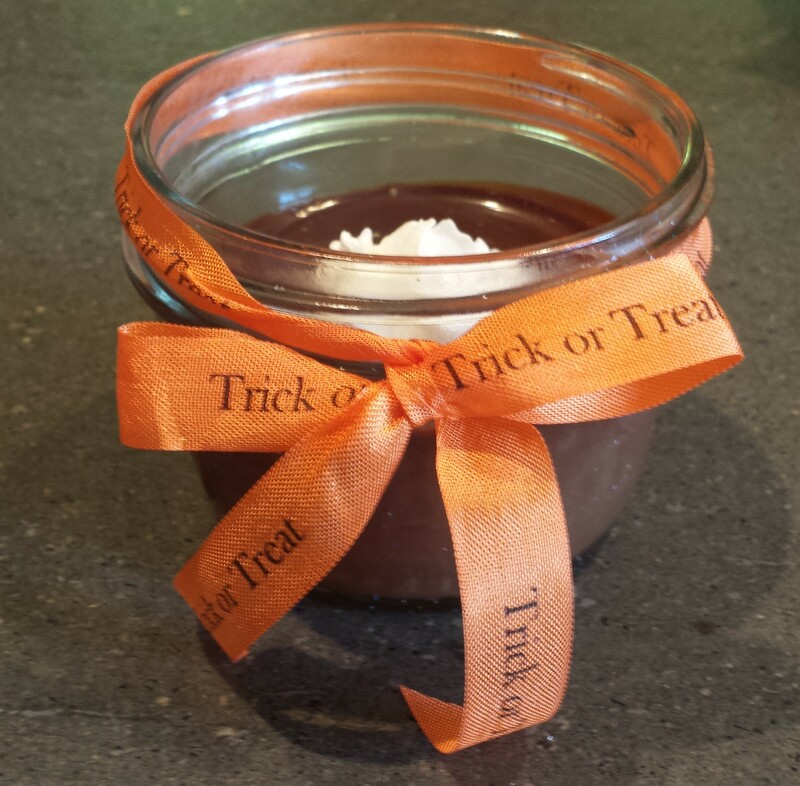 Celebratet Halloween with Trick or Treat ribbon and a dollop of whipped cream. What You Need: 12 half pint wide mouth glass jars, 12 strips of ribbon and sharp scissors. 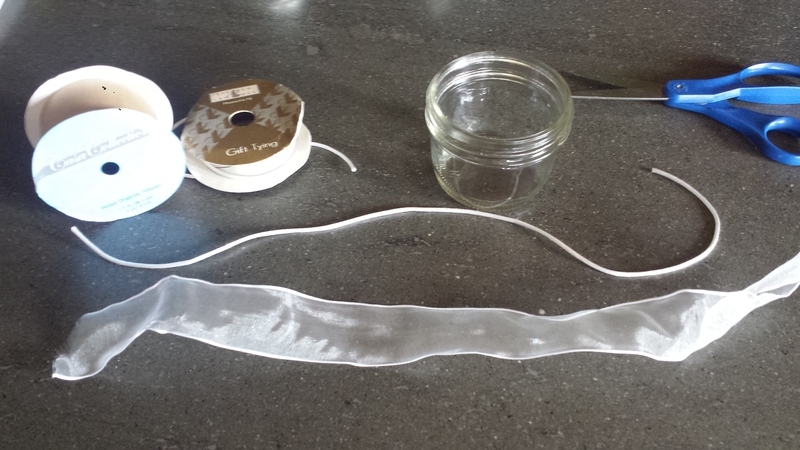 Do a trial run on one jar, then remove it and measure the length of the ribbon necessary and pre-cut the other 11. Don’t tie them until after the mousse has been poured to prevent staining from drips. Better yet, tie the ribbons just before serving if time permits. Turn on motor again and add vanilla and eggs. 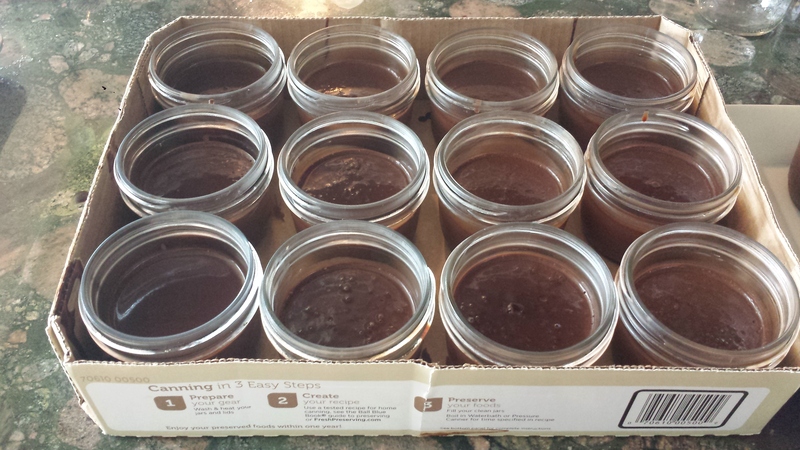 Process about 15 seconds.Pour mousse mixture into 4 individual glass dessert cups. or jelly jars Place on a tray (I used the box the jars came in) Cool, then chill about 3 hours or until firm. 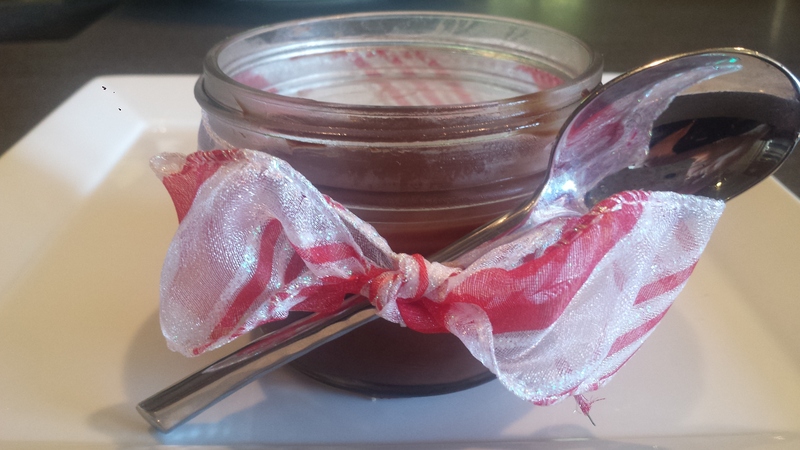 Before serving, tie ribbon around the neck of each jar for decoration. 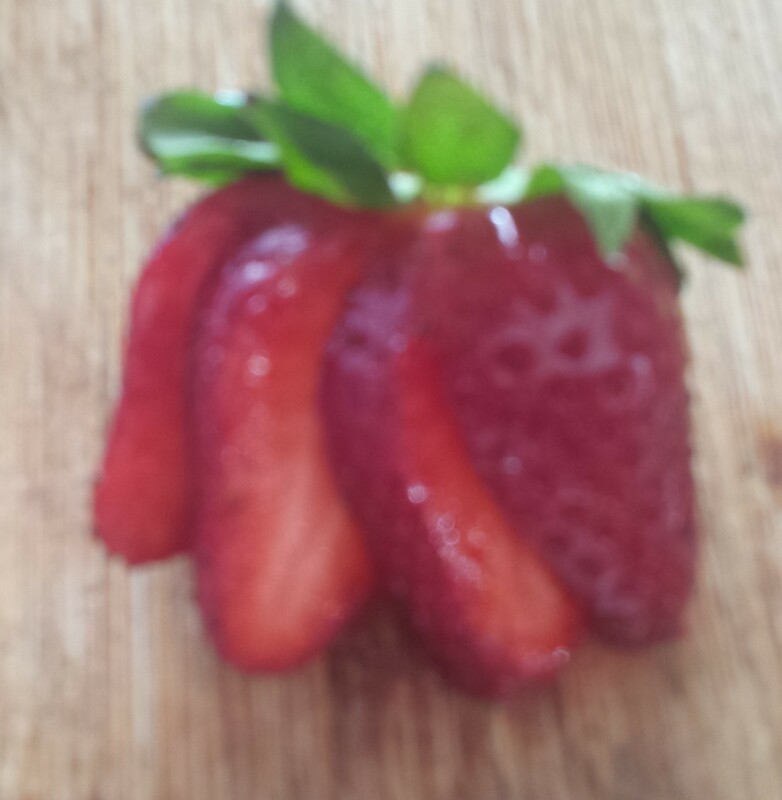 If using strawberries, wash and dry keeping the stem intact. Turn it on it’s stem and make three slices, vertically, not cutting all the way through the stem. Gently spread into a ‘flower’ shape. Turn on motor again and add vanilla and eggs. Process about 15 seconds.Pour mousse mixture into 4 individual glass jelly jars. Cool, then chill about 3 hours or until firm. To serve, garnish with berries or whipped cream and a pirouette cookie, if desired. 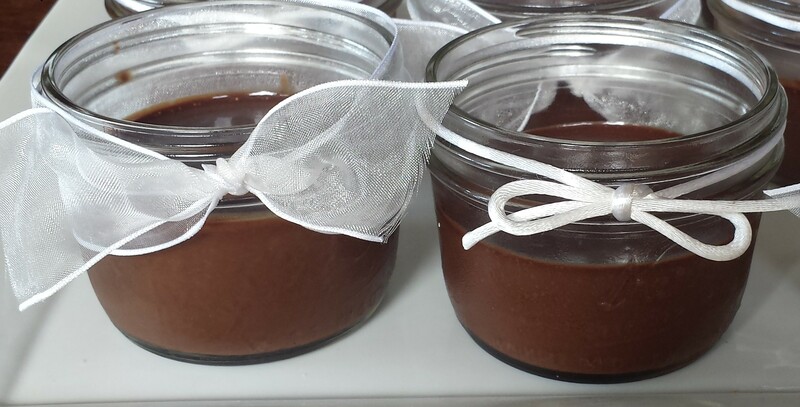 This entry was posted in All Recipes, Desserts and tagged bittersweet chocolate mousse, Bittersweet Chocolate Mousse Recipe, chocolate mousse, dessert in canning jars, easy chocolate mousse. 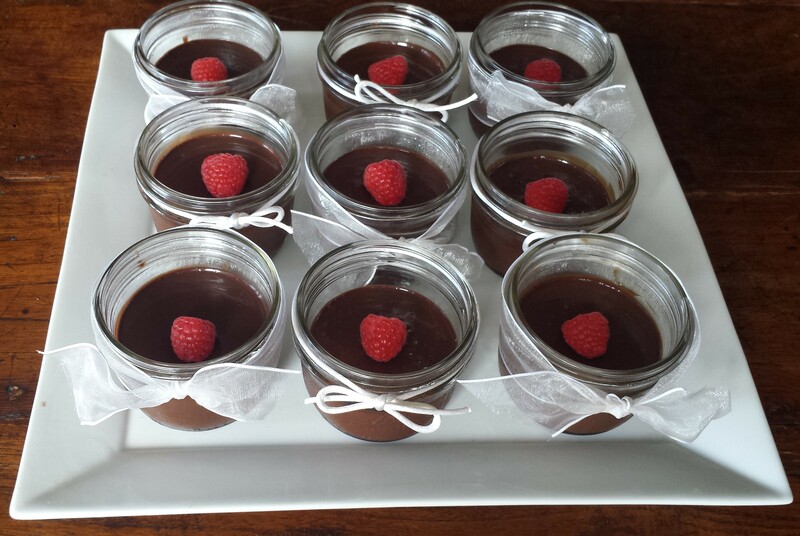 great party dessert, gluten free, holiday desserts, no cook chocolate mousse, serving dessert in jelly jars, single serving chocolate mousse, vegetarian. Bookmark the permalink.